Newest signing Matthew Harding, who was signed through Make-A-Wish this week, will make his debut with Sacramento Republic FC this Saturday against Las Vegas Lights FC! 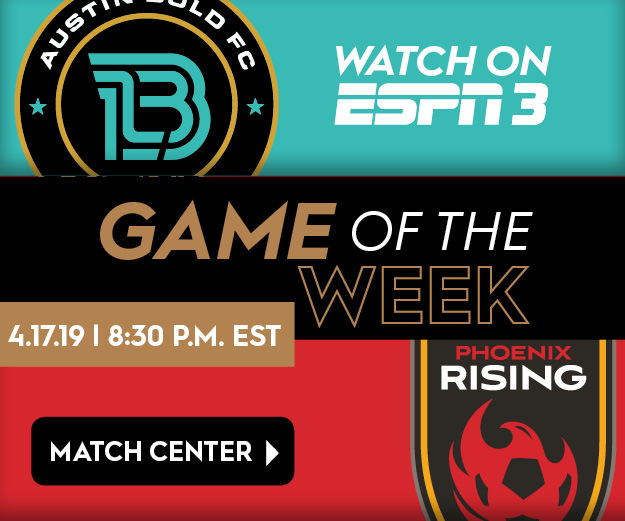 The 15-year-old Harding will be in the starting XI to kick off the last match of the regular season and we want to make his debut the best experience possible. Let's get the place buzzing from the get-go. Harding will accompany the team out for warm-ups and we want him to see what Papa Murphy's Park is all about on match days. 2. Be in your seats by 7:15 p.m.
We want the stadium packed as we get close to kickoffs so fans can be a part of the starting XI announcements as Harding's name is called out. Let's keep the noise going as the starting XI make their way to the field and kick off against Las Vegas for Harding's debut! After watching him take the pitch at training this week, and judging by the video below, we've got a good feeling about Harding topping off his debut with a goal. If, when that happens, get on your feet and bring the noise level to the max and help us make this an unforgettable moment for Harding! This will be a very special night for all as we close out our regular season and prepare for playoffs, and help one teenager's dream come true. We will also be celebrating our last #5YearsOfGlory match, remembering our inaugural home match that took place at Hughes Stadium. Limited tickets are still available at Ticketmaster.com.